I’m Confident that Competitive Keyword Research Will Light a Fire under YOUR Digital Marketing Firm and Your SEO Sales Will Ignite! Disclaimer 101: Your competition preys on your SEO clients night & day using keyword audits and other nefarious ways. They may even wear whiter-hats than you! 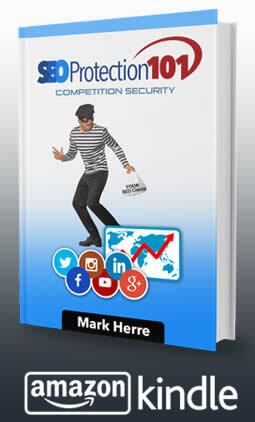 Secure & Protect your client’s safety and address their SEO Trophy keywords ASAP. Pre-order your book today! Request Now (PRIVATE-LABEL) keyword research analysis & ranking report and I’m confident that this one-Page report will sell for you so that you can GROW! Email mark@seogame.com or call 801-921-3625 to discuss your private-label concerns such as lead-gen, keyword research analysis audits to sell more seo and NDAs. If you want to review more lead generation tools like SEMrush, including SpyFu and several others, Click to Watch this Youtube Webinar Replay by my friend Jordan. Justin started off just taking anyone [as a client] and everyone he could. However, he eventually wanted to narrow in on some bigger opportunities. When attempting to land big clients for your agency, information is key. 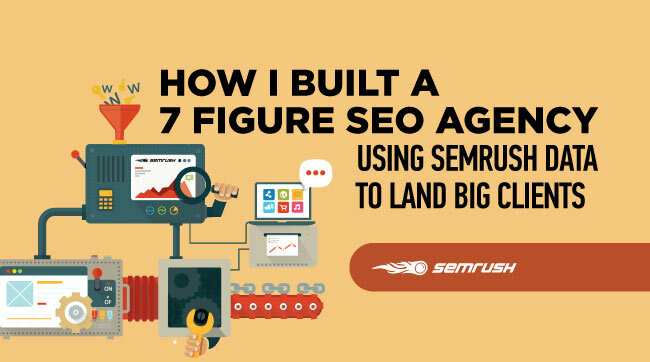 SEMrush has been a key asset more than a few times in their rise to a 7 figure agency. Click to Review the SEMrush process. Download full the infographic that goes with this post.